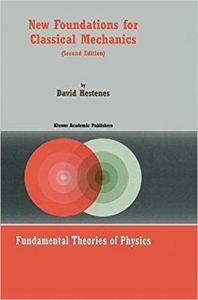 This is a textbook on classical mechanics at the intermediate level, but its main purpose is to serve as an introduction to a new mathematical language for physics called geometric algebra. Mechanics is most commonly formulated today in terms of the vector algebra developed by the American physicist J. Willard Gibbs, but for some applications of mechanics the algebra of complex numbers is more efficient than vector algebra, while in other applications matrix algebra works better. Geometric algebra integrates all these algebraic systems into a coherent mathematical language which not only retains the advantages of each special algebra but possesses powerful new capabilities. This book covers the fairly standard material for a course on the mechanics of particles and rigid bodies. However, it will be seen that geometric algebra brings new insights into the treatment of nearly every topic and produces simplifications that move the subject quickly to advanced levels. That has made it possible in this book to carry the treatment of two major topics in mechanics well beyond the level of other textbooks. A few words are in order about the unique treatment of these two topics, namely, rotational dynamics and celestial mechanics. Download: Topics In Applied Abstract Algebra.